Barracks Row neighbors along 7th Street, backing up to the alley which services numerous popular Barracks Row restaurants between E and G Streets, including The Chesapeake Room, Ted’s Bulletin, Fusion Grill, Las Placitas, Matchbox, Ambar, Cava, and Lavagna, are asking ANC6B Commissioner Phil Peisch to organize a meeting including restaurant owners, 7th Street neighbors, and city officials, to address the deplorable and unsanitary conditions of their common alley. 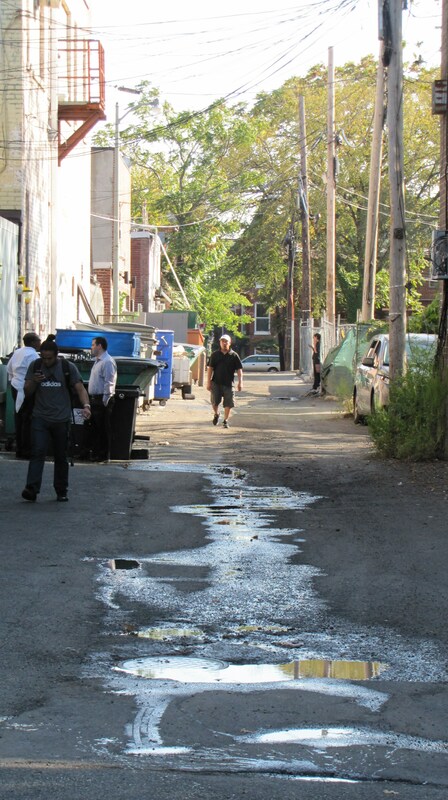 Both residents and restaurateurs are unhappy with the alley. 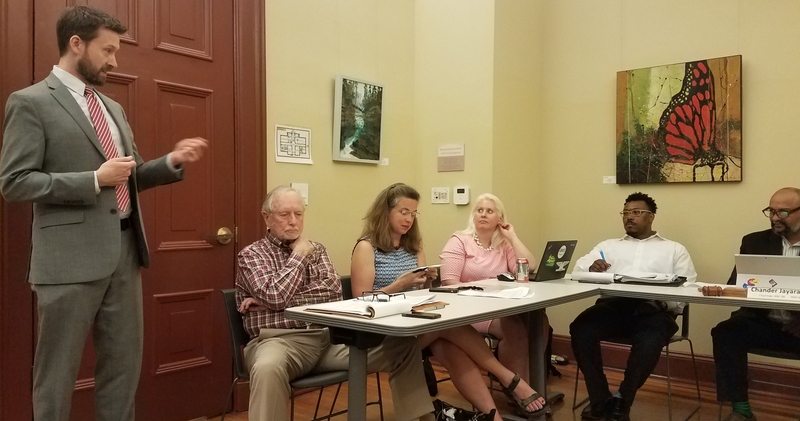 On August 29, Matchbox Food Group vice president Fred Herrmann told ANC6b’s ABC Committee during a liquor license renewal hearing, that much of the problem stems from the surfacing of the alley itself which collects stagnant water. 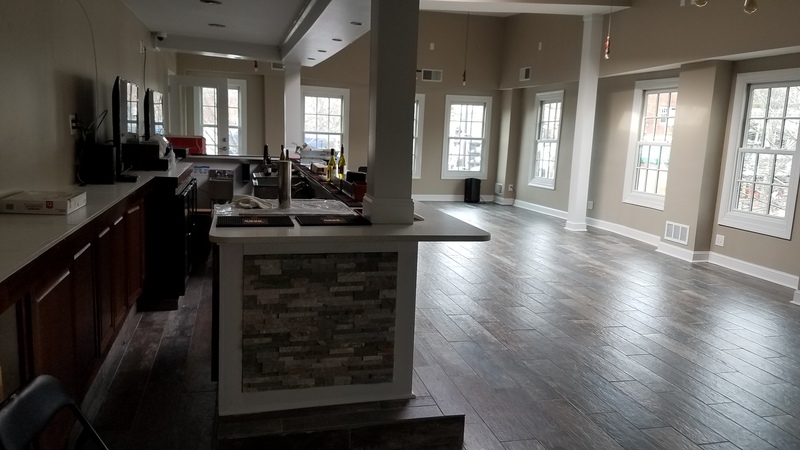 He cited problems with rats, grease and odors, saying “it stinks.” Hermann said he had asked the DC Restaurant Association to intercede with the city to address the problem. Nevertheless, two weeks after Herrmann’s appearance before the ANC Committee, an investigation by the city’s Environmental Crimes Unit prompted by a complaint regarding a grease spill in the alley resulted in a fine to Fusion Grill and a warning to every other restaurant in the block; all of them had grease containers not up to code and were an attractant to rodents. 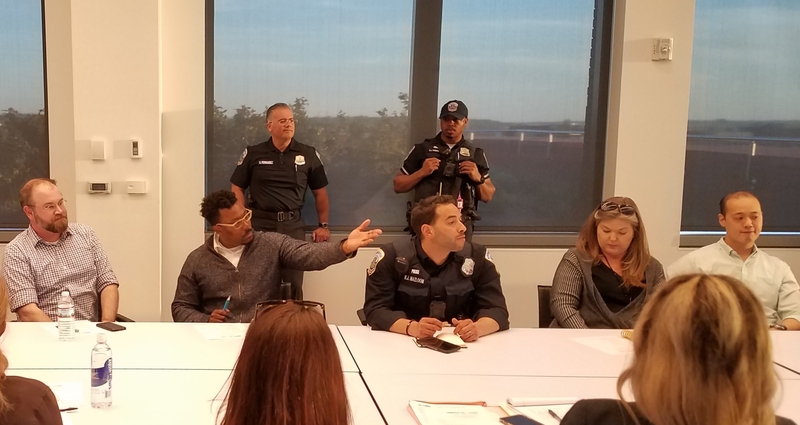 The idea for a summit grew out of a suggestion from a city inspector who offered to make herself available on any of six days between October 21 and 31 to meet with all of the restaurant owners on the alley to review with them, as a group, what they need to do to comply with city code. Neighbors subsequently appealed to ANC6b commissioner Phil Peisch to organize such a meeting, in hopes that a unified approach to the problems and a demonstration of cooperation from restaurants plus input from the Restaurant Association will spur the city to resurface the alley and resolve the drainage problems. Below is a contact list for government agencies for complaints about specific outside rat, trash, and food safety issues which being circulated among 7th Street neighbors. This blog is always so anti-commerce. Sheesh. James, rat infestation of your property is not a “pleasant” experience and the restaurants must be held accountable. I’ve been there. 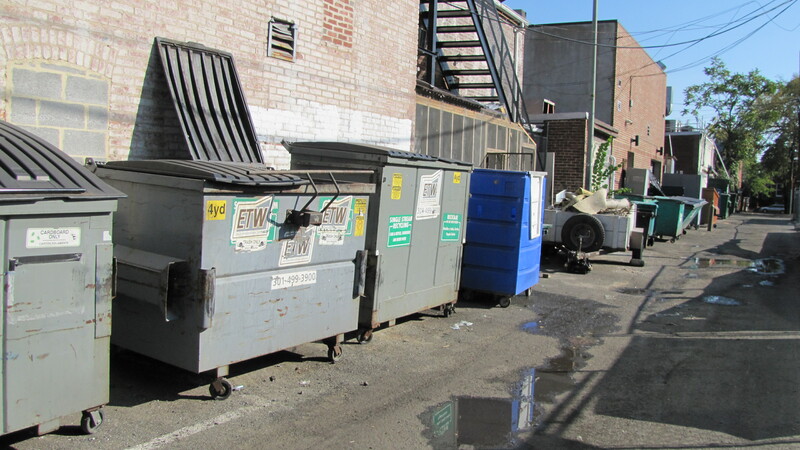 The restaurants next to my property caused a horrible infestation of my property and my neighbor’s and after 5 months of rat abatement and now 10 months later, the rats are back and the restaurants still don’t grasp the simple process of how to close a dumpster or keep one clean! How can requiring a food establishment to comply with existing DC regulations, sanitation codes, etc., be anti-Commerce? These business owners know the city codes, requirements, etc., when they get into the business and simply choose NOT to comply. And throwing the blame back on the city for the potholes and alley surface is simply an excuse. Really, does a pothole cause a dumpster to remain open? Doubtful. Grease and “run-off” from dumpsters collects in the potholes. 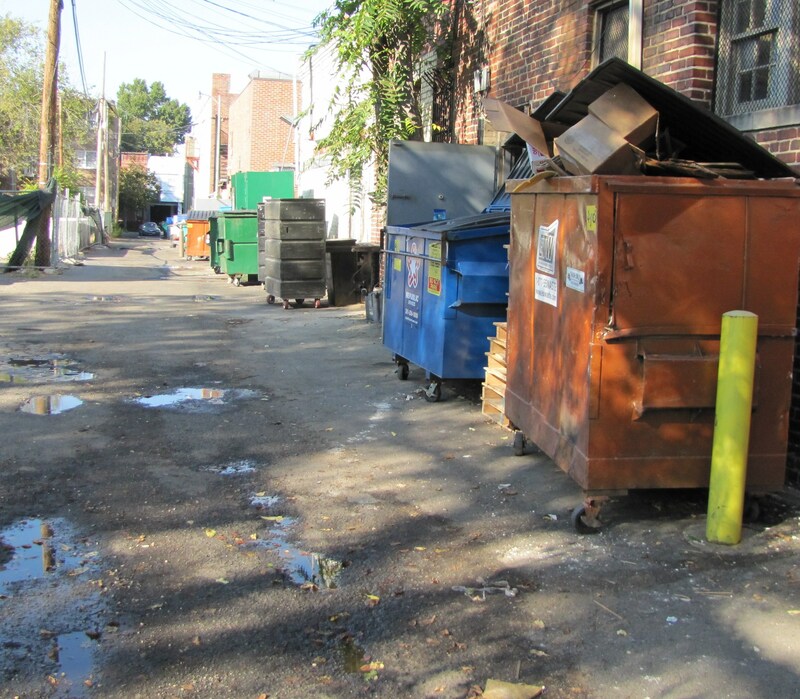 So maybe if the business owners properly cleaned and maintained the dumpsters there would be no “run-off”. None of these restaurants are neighbor-friendly…if they were, there would be no issues! Mr. Gabriel Curtis is simply wonderful – he’s responsive, timely, knowledgeable and a pleasure to work with on your infestations. The same has been happening for some time now on 9th St. behind the rest.s on the east side of 8th St (Nooshi, Senarts, Pacifico etc.). A lot of those residents complained back then, while those not directly affected looked on indifferently, and at times expressed opposing opinions. Now it’s an issue because it effects you? If neighbors paid attention and joined efforts when the same, but earlier problems occurred, we might have better regulations and enforcement and the 7th St. neighbors might not be having this problem. Pay attention people and be active on behalf of the entire neighborhood, not just your mypoic interests. Don’t wait until the shoe bomb is in your face before you say or do anything. 7th St. neighbors — boo hoo; you brought this upon yourself. Baloney! The neighbors did not bring this on themselves! 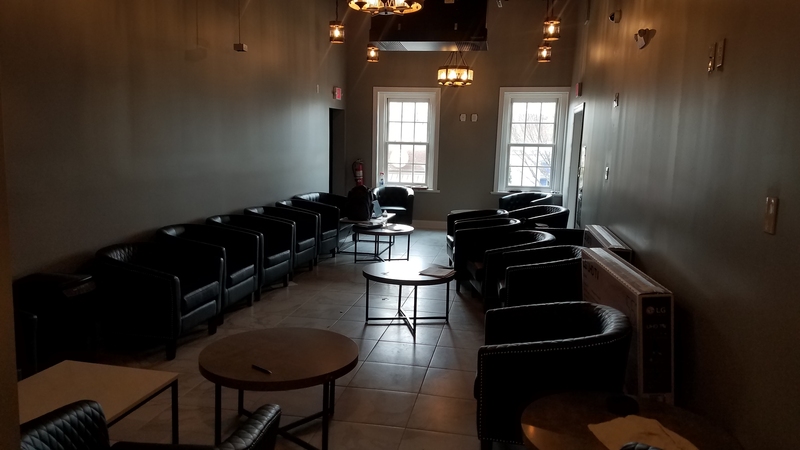 It’s the business owners who care about 1 thing only…the $$$$$$$ and the DC government’s enforcement agency that does not know how to enforce or is already in the pockets of the business owners!